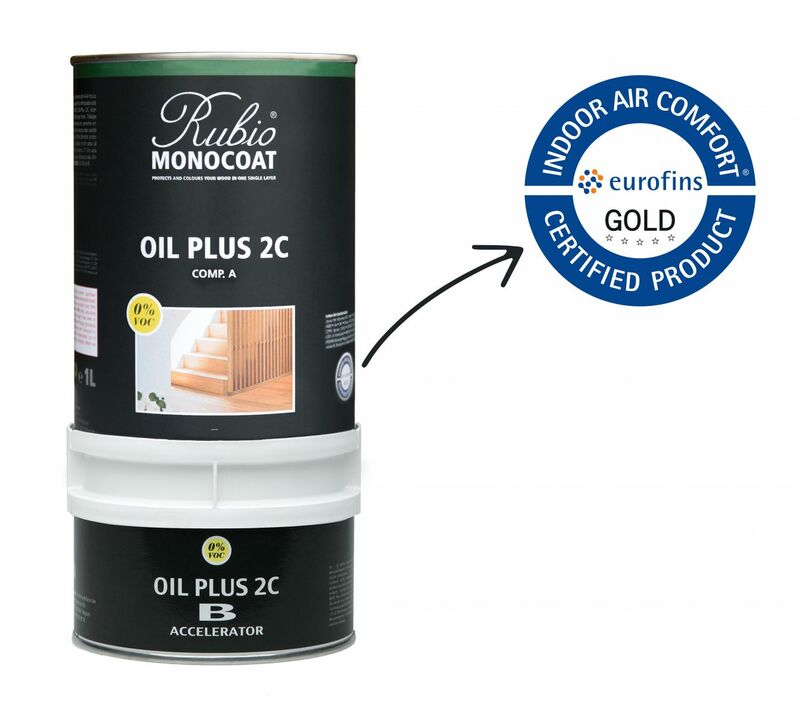 Rubio Monocoat Oil Plus 2C obtained the Eurofins Goldlabel, which was an industry’s first. You can read all about this label on this page, but concretely this means that Rubio Monocoat Oil Plus 2C meets the strict future (!) standards in terms of emissions and environment. As a result, this new generation oil is guaranteed compliant with all regulations for the next 10 years. ​What does the label on the can mean? 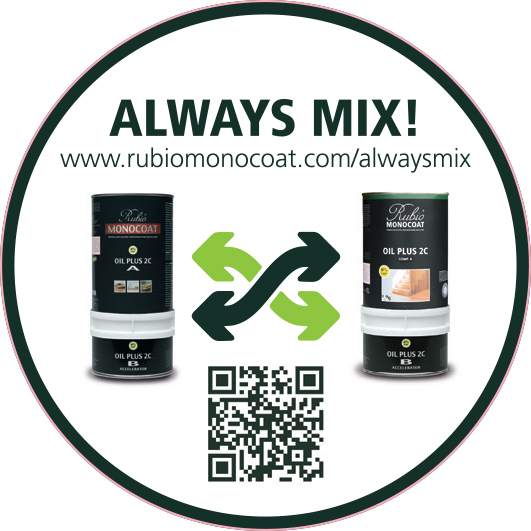 Rubio Monocoat oil is produced per batch, per colour and based on a fixed formula. However, the intensity of the pigments can slightly differ per batch. Rigorous quality tests strive for a minimum in noticeable colour difference to avoid this. If several cans are required for one project and these are produced from a different batch, minor colour differences may occur and are inevitable. That’s why it is recommended to always mix several previous cans and to stir them very well before getting to work. This is a known procedure amongst real professionals. As a result, a possible colour difference in the can will be completely eliminated. Good luck with your project! Click here for the Eurofins Goldlabel Brochure.